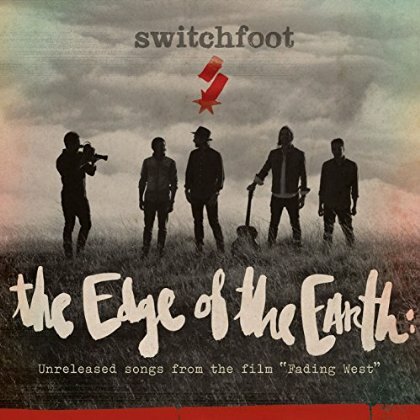 When Switchfoot released their EP, 'The Edge of the Earth: Unreleased Songs from the film Fading West' on 9th September, it was quite a surprise to everyone. Anyone who had seen the film may have heard parts of these songs already, but they weren’t available for download or on Spotify as they are now! Read More When Switchfoot released their EP, 'The Edge of the Earth: Unreleased Songs from the film Fading West' on 9th September, it was quite a surprise to everyone. Anyone who had seen the film may have heard parts of these songs already, but they weren’t available for download or on Spotify as they are now! When the full album of Fading West came out, I was expecting something along the lines of Vice Verses, but I should have known better; Switchfoot never digresses. Instead of the darker, restless rock’n roll that Switchfoot delivered in 2011, they released a polished, technical, uplifting pop album. This album made me want to grab a surf board and head to the nearest ocean, regardless of how scared I am of sharks. The band continues to amaze me with the variety of sounds they produce and their growth through the years. That said, I was very excited that Switchfoot put out the new EP. When I listened through it the first time, I recognized that the songs have the same feel as the album, but they just didn’t fit. An album can only have so many songs if an artist still wants to make a living off of it. Although the EP has songs that could be placed into the album, it also stands well by itself. The EP opens with the title track, 'Fading West'. This song creates such a beautiful canvas for the rest of the EP to be painted on. It’s a really laid back tune, but it expresses such an important desire. It talks about going back to their roots, back to their home, and back to where they come alive. The sound of this song could be a bit reminiscent of the Switchfoot of the early 2000s, which would match the idea of going back to foundations. But this song goes beyond this. It has lines like, "Life won’t sing like I want it," followed by, "I’m headed back to west coast where I belong," which makes the west coast sound like a safe place and a home. The next songs, 'Against the Voices' and 'Skin and Bones', address the lies the world tells us. The first focuses on standing up against what the world tells you, and the second talks about how we’ll get into our own minds. It also has some crazy instrumentals that sound absolutely incredible. Both of the songs are almost haunting in key and musical devices. The next two songs also fit well together. The first is heartbreaking in the most beautiful way, and it’s also unique because Tim Foreman sings the whole song instead of Jon. In the song, 'What It Costs', Tim sings some truths like, "you can’t call it love until you’ve lost." A heavy bass leads into the next track. On this track, the instrumentals guide the direction of the song to create a climatic and massive soundscape that may be my personal favorite part of EP. The lyrics of this song talk about how, "it’s time to move on... we can’t be the same old thing". 'Liberty' is the next song on the EP, and it’s much needed after some heavier songs. It starts out as a dance song and seamlessly turns unto something you might hear in a contemporary worship service. The final song on the EP does well summing up everything the EP stands for. It says, "meet me here at the edge of the earth," and fades out repeating the phrase, "so come on." It summons listeners to be more than listeners but to take on the mission of changing ourselves and - through ourselves - changing the world.